I believe it. What a smart guy. This weekend was spent at the Oklahoma Craft Beer Festival. The beer tasting event gave you access to over 200 craft beers from around the world AND a commemorative tasting cup. I don't know if you know this about me, but I'm a sucker for "free" event souvenirs. I'll do anything for free stuff - I'll run 13.1 miles, even. The itty-bitty cup was totally worth the $37 ticket. Food trucks were expected to roll up to the OCBF, but little did we know which trucks would be in attendance. The Food Network's show The Great Food Truck Race was in town filming the upcoming season and several of the trucks were parked in Bricktown for the day. You better believe we gave 'em a try. Too bad the film crew was pre-occupied while I was waiting in line... The camera would have loved me! The wrap was full of fresh, Tex-Mex flavor and made my taste buds do a little dance. My only complaint is that it was pricey and tiny (but the perfect size to compliment my beer tasting cup, mind you). Oh well, I'll still root for the Wagon to win the competition. And you better believe I'll be DVRing the OKC episode when it debuts, just incase I make an appearance. Alright alright. Enough food talk. Back to beer. Runners up include: Lefthand Brewing Company's Ambidextrous #6, Anthem Brewing Company's Special Blood Orange Ale, and Choc Beer's Gose w/Peach. I went into this loving a good stout (and I still do), but towards the end I learned to appreciate the lighter ales a little more. That heavy beer can be kind of overpowering after a few rounds....and honestly, the stouts all started to taste the same. The flavored beers gave my 'buds some variety - that "mmm what is THAT I'm tasting?" sensation. I like that sensation. I like it a whole lot. At the end of the day as we sat on the porch and drank a Busch, the verdict was clear: I heart beer. Most any beer, really. And I heart this guy, too. Awwww. Friends, I have an announcement! 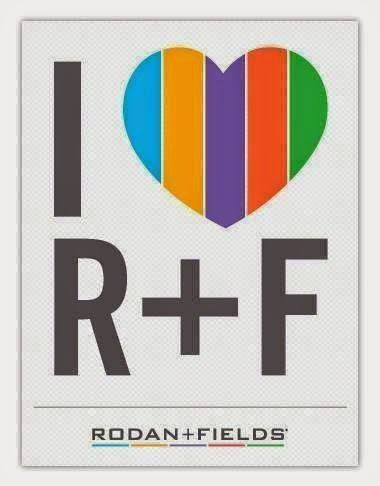 I am now a Consultant for Rodan + Fields Dermatology. And I'm really, really excited about it. I'm pumped because a) I need to support my shoe fetish and b) these products literally changed my life. Literally, you guys (see incredibly embarrassing photo below). Yep, that's me. Ugly, pimply me on the left and pretty, zit-free me on the right. WHOA. Ya'll, I was at a point where my acne was worse than it had ever been in my entire twenty-something years. 13-year-old Amanda didn't even know what acne was. I was embarrassed to go anywhere without makeup. Going to the gym straight from work didn't help either; all that foundation went straight into my pores. It was awful and was only getting worse! I was so embarrassed and self-conscious. 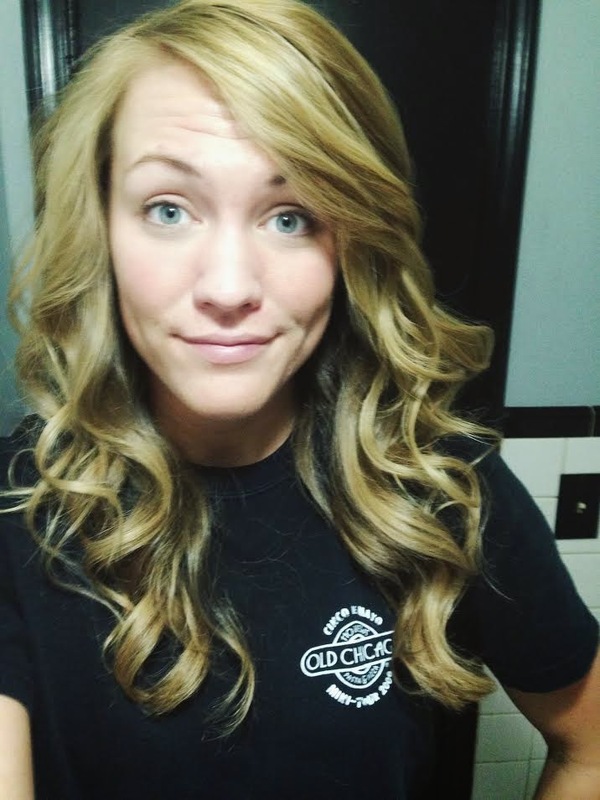 Sure, my hair might be pretty and I have nice abs, but my FACE! I was sure people only saw my acne when they looked at me. I tried everything from 100% natural face care products to visiting the Dermatologist and using harsh, prescription chemicals and antibiotics.....I was a lost cause. That's when Christmas rolled around and I decided to give myself a present: the gift of Rodan and Fields! My beautiful cousin Meghan, a R+F Level V Executive Consultant, kept raving about it. My mom was using the Soothe line and was seeing great results. Several other family members were head over heels for the stuff, too. Everywhere I looked, R+F was getting two-thumbs up, so what did I have to lose? Absolutely nothing....especially considering it had a 60-day money back, you're gonna love this stuff guarantee. Boy, am I glad I gave it a shot. Six weeks in and my skin was mostly clear. Six months later and I'm posting a makeup-less, unedited selfie because I am no longer ashamed or embarrassed of my skin! 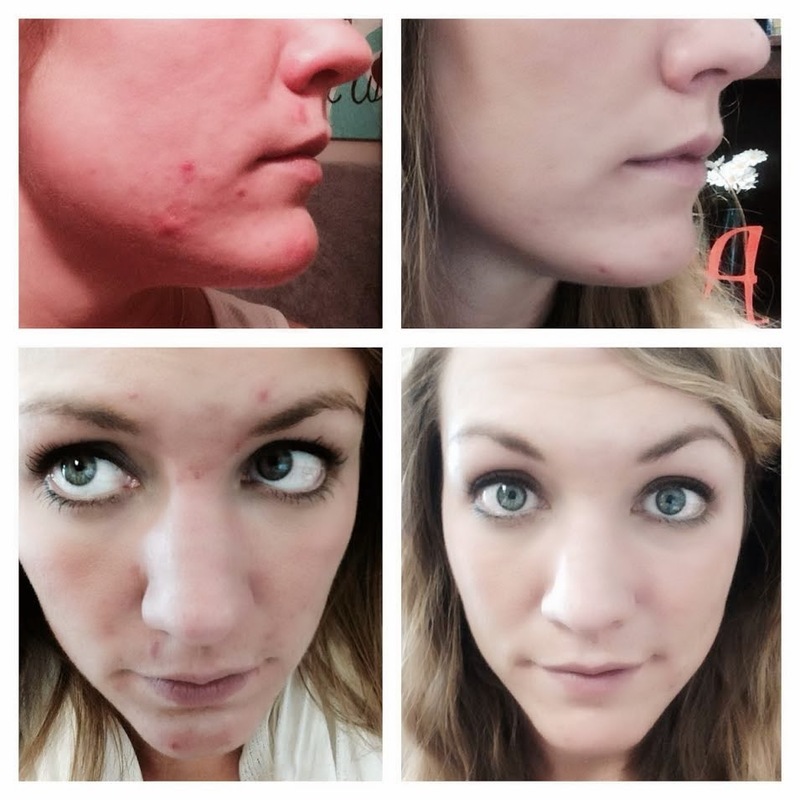 You can see for yourself....these products rock. Like, rock the boat, rock my socks off, rock and roll all night long kinda rock. R+F (which, b.t.dub. is made by the same Dermatologists who brought you Proactiv) offers four different regimens including: Redefine (to keep you lookin' young), Reverse (to get rid of brown spots or discoloration), Soothe (for sensitive or red skin), and my saving grace, Unblemish (for acne), as well as a ton of other fun products to throw in the mix and help your skin look its best. So, my dears, here is the #1 reason why I am now a R+F Consultant: because I love these products and they completely changed my life. And I believe they can do the same for you! Of course, the extra cash, bonuses and time I get to spend talking to awesome people like yourself isn't bad, either. Girls gotta save money for that Jeep Wrangler and Bernese Mountain Dog puppy somehow, ya know? 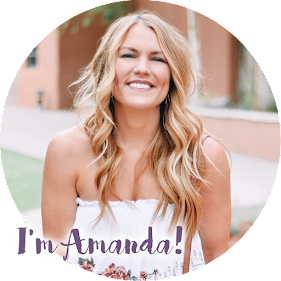 If you are interested in trying any of the products out, shoot me an email at itsamandab@gmail.com, leave a comment below or visit my website @ www.amandabradley.myrandf.com for more information. I promise you won't regret it! Side note: Rodan + Fields offers great business opportunities, too! If you're interested in joining one of the best and fastest growing companies in the nation, being your own boss or scheduling your work around your life, all while having fun and making the big bucks, don't hesitate! Contact me or visit www.amandabradley.myrandf.biz for the deets!